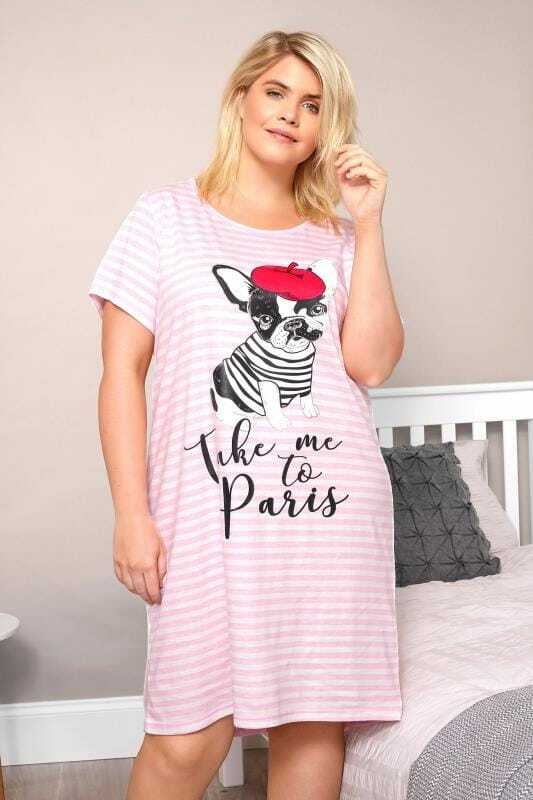 Slip into something stylish this bed time with our collection of plus size nightdresses and chemises. Available in sizes 16 to 40, we offer a variety of girly prints, bold slogans and soft frilly edged designs for you to choose from. Discover our latest range now for ultra-comfortable and oh-so-chic nightwear. 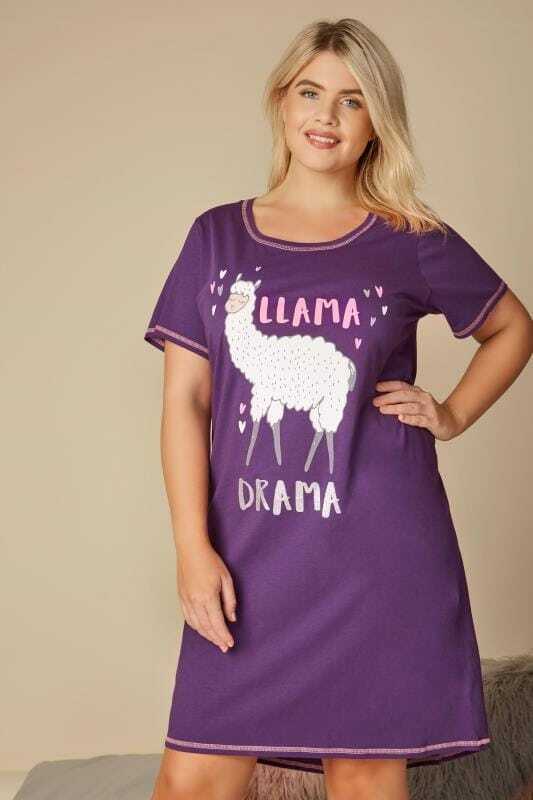 For elegant sleepwear style choose from our range of plus size nightdresses. A great alternative to a traditional two-piece pyjama set, we offer a great variety of options. From Disney-printed gowns to sweet frill-hemmed pieces, our designs are crafted from soft jersey fabric for ultimate comfort. 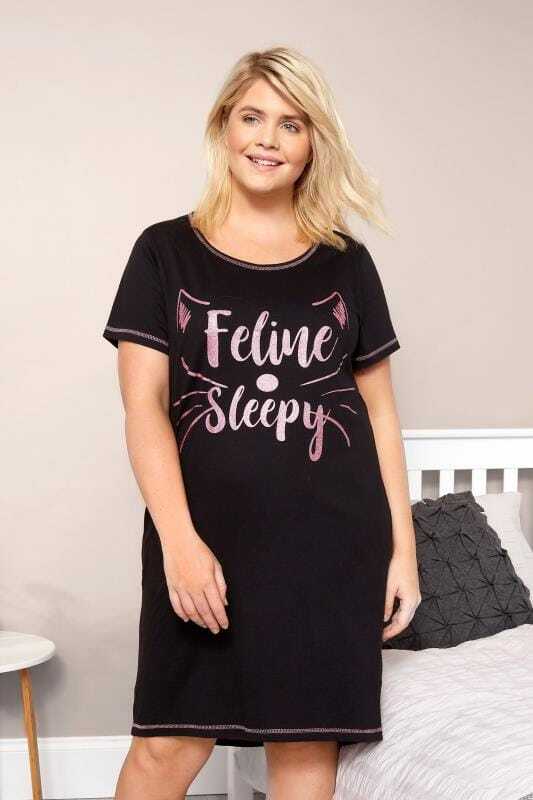 Ideal for cold mornings and late nights, wear your plus size nighty with a snug dressing gown and a pair of super soft slippers. A staple in every woman’s nightwear collection, shop our selection of cotton nightdresses. Ranging from mid to long in length, we offer a great selection of styles in a variety of slogans and prints. Made from soft, comfortable fabrics, they are ideal for bedtime and for lounging around on a lazy weekend. With soft ruffled hems and sleeveless-arm designs, our range of frilly nightdresses will add a more feminine feel to your nightwear collection. Shaping slightly around your curves and featuring chic prints, a ruffled nighty will effortlessly flatter your body shape. Accessorise with a dressing gown to keep you cosy. Create your own your fairy-tale with our Disney-print collection. Comfortable in fit and roomy in design, our pyjamas will ensure you feel cosy all-night long. Made from 100% cotton, they are ideal for lounging on the sofa while indulging in one of your favourite films. Why not match them with a pair of bed socks to accessorise your sleepwear look.